HMD Global confirmed early this month that four of its Nokia-branded smartphones will receive Android 9.0 Pie updates by the end of November. Two of them, Nokia 6.1 and Nokia 6.1 Plus will get the update in October, while the other two, Nokia 8 and Nokia 8 Sirocco will be updated in November. 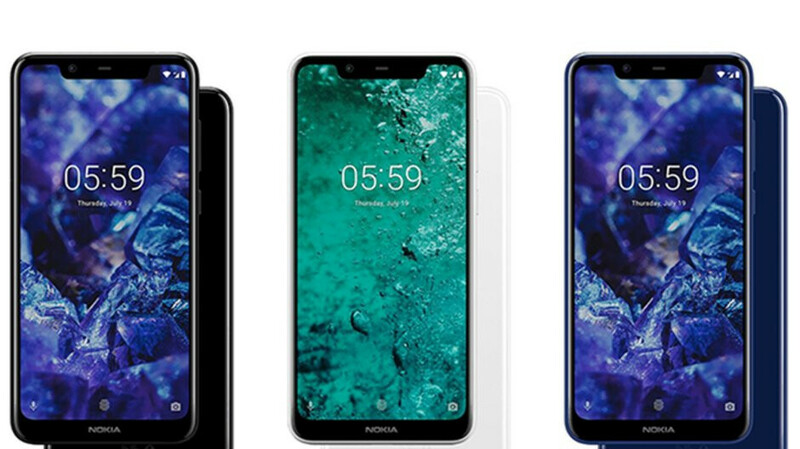 However, HMD's announcement does not include the Nokia 5.1 and Nokia 5.1 Plus, which is a bit weird considering that the Finnish company promised to release Android 9.0 Pie updates to all of its Nokia-branded phones to date. Well, that's no longer the case since HMD Global's Juho Sarvikas recently stated that he would be surprised if the Nokia 5.1 Plus won't be updated to Android 9.0 Pie until the end of the year. It's true that we still don't know when exactly the phone will receive the highly-anticipated update, but at least we know for sure that it's coming. If it's running on Android One, then I don't see why they would be unsure of when it will be updated. That kind of defeats the purpose of it being an Android One phone if they're not going to update it. Being that this is an Android One smartphone, aren’t the updates supposed to come straight from Google? Seems to me that Google is dropping the ball here. Seems like Nokia isn't doing there part here by not updating their phones even though they are supposed to be Android One phones. There's no excuse for them not to since the Essential phone is already on Pie. It's been on Pie since day one. Seems that people don’t understand that Android One means that the updates are pushed to these smartphones straight from Google. It seems that some people just want to give Google a pass, as usual, even though they are at fault here. OEM’s like Essential are on Pie already, but they had better be, being that they only have one flop of a smartphone to update to begin with. It seems that some people just don't want to admit that their OEM is at fault here since it says in the article that HMD themselves, not Google, are pushing the update out to some of their phones. The fact that Essential already has the update out without being an Android One phone just makes Nokia look bad. It seems that some people choose to remain in denial about Google dropping the ball with an Android One smartphone here, since Google are the ones that's supposed to be pushing updates straight to Android One smartphones. The fact that some people still can't accept the fact that Nokia doesn't make smartphones anymore, they have a licensee that does this now, is also just plain sad. As I said earlier, Essential updating their one flop of a phone is no great feat. What would be a great feat for them is if they manage to stay in business through the end of next year and put out another smartphone, without the botched launch. https://www.xda-developers.com/best-android-one/ Seems that some people need a little lesson in Android One. Google didn't drop the ball. They have done their part and released the Pie update. Why else would the Essential phone already be on it. It's also far from being a flop unlike some devices that launched at a premium $600 price point. https://en.m.wikipedia.org/wiki/Android_One Seems like some people that say that others need a lesson on Android One are the ones that really need it. It's stated that Google supplies the OS and security updates to Android One smartphones at a quicker pace than non-Android smartphones. So why haven't they done so yet? The only way we can get these corporations to do what they say they are going to do is to hold them accountable when they drop the ball, and not cover for them and choose to be in denial about their mishaps. Essential only has one phone to worry about, and it was DOA from the onset, due to high pricing and buggy, unfinished software at launch. It's no wonder it flopped, and was even outsold by a smartphone that focuses primarily on the enterprise market, which is a niche market. Google has supplied the update. It's up to them to distribute it. But of course you will give Nokia a free pass from dropping the ball. So much for guaranteed fast updates lol. I guess the Essential phone will continue to outdo the Nokia phones with being updated to the latest version of Android. Google distributes the updates to Android One smartphones, which they’ve dropped the ball with. But as usual, you will give Google a free pass for dropping the ball. So much for Android One being any sort of benefit over non-Android One smartphones, lol. Oh, and newsflash: The Nokia 6 2017 edition, which is NOT Android One, gets security updates faster than some Android One smartphones. I guess HMD will continue to outsell Essential by the boatloads, and they are guaranteed to still be around this time next year. Essential? Most likely not, lol.